Personalized 15oz Translucent Travel Tumbler from Promo Direct. 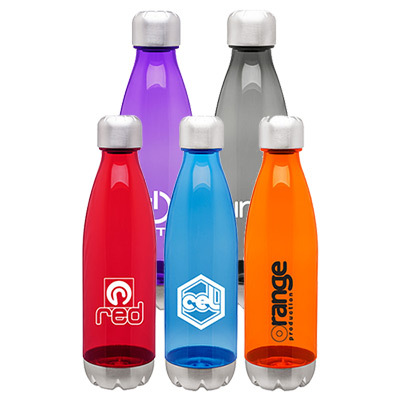 Thirsty for the ideal promotional product but just can't find one? 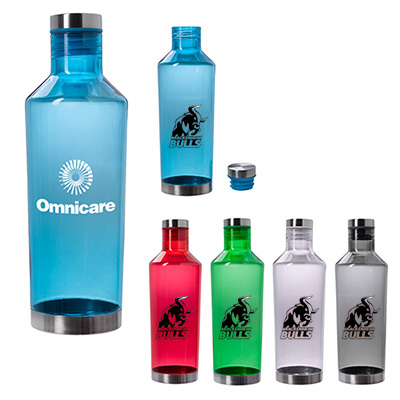 Try this Promotional 15 oz Translucent Travel Tumbler. This Personalized 15 oz. 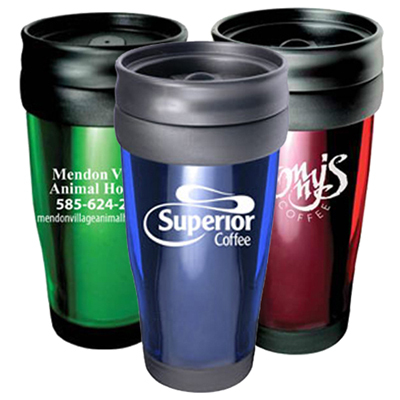 Translucent Travel Tumbler is your Double-wall insulated, spill-resistant answer to your Promotional Product problems because it will attract attention to your logo. These 15 oz. 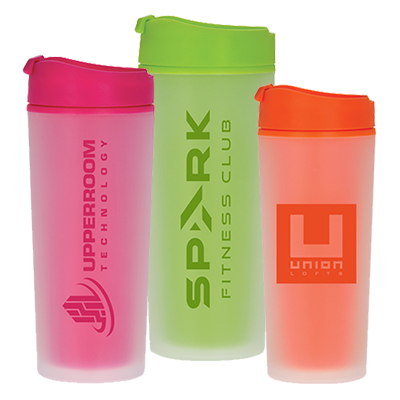 Translucent Travel Tumblers have a brilliant translucent body that makes your logo stand out majestically. These tumblers are available, so order TODAY! "We gave these as incentive to our customers. They look classy and are well-made. " "First rate tumblers. They met all my expectations. Thank You Promo Direct." "Found these tumblers high on quality and looks. " 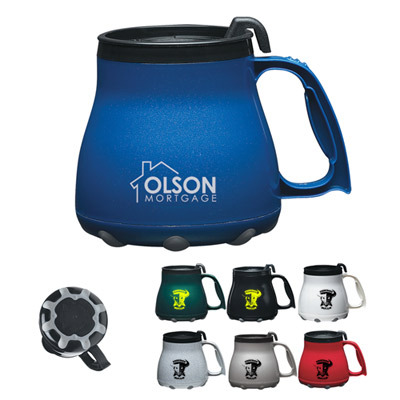 Quench your thirst and get your logo displayed!